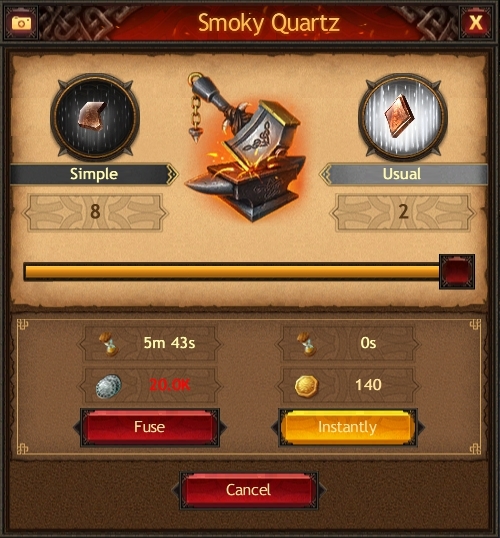 You can use fusing to get a gem of a higher class from four gems of the same class. Gems of all classes except for Legendary can be fused. You can get several gems of a higher class in one go if you fuse eight or more identical gems. 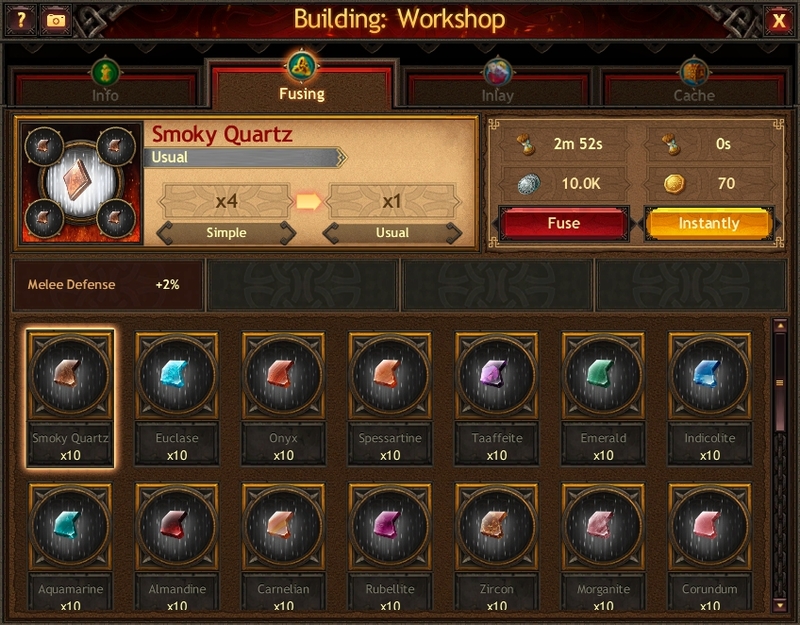 To increase the gem class, go to the Fusing tab of the Workshop, select the gem you need, and click the "Fuse" button. The number of gems used for fusing can be altered with the slider. Gems are fused for time and Silver, or instantly for Gold. The cost and duration of the fusing process depend on the class and the number of gems, as well as on the Workshop level.